Bondservants, obey your earthly masters with fear and trembling, with a sincere heart, as you would Christ, not by the way of eye-service, as people-pleasers, but as bondservants of Christ, doing the will of God from the heart, rendering service with a good will as to the Lord and not to man, knowing that whatever good anyone does, this he will receive back from the Lord, whether he is a bondservant or is free. Masters, do the same to them, and stop your threatening, knowing that he who is both their Master and yours is in heaven, and that there is no partiality with him (6:5-9). We can see within these verses not only the relationship between slaves and masters but also our relationship with Christ. One of the titles for Christ in the New Testament is “Lord.” The Greek word for “lord” is kyrios, which can also be translated “master.” Paul refers to “earthly masters” (v. 5) because all Christians have a heavenly Master (v. 9), the Lord Jesus Christ. To be a Christian is to be a slave of Christ. 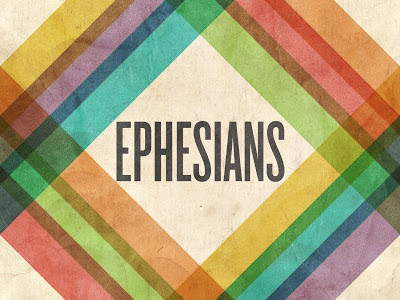 In his first letter to the Corinthians, Paul writes, “Were you a slave when called? Do not be concerned about it. (But if you can gain your freedom, avail yourself of the opportunity.) For he who was called in the Lord as a slave is a freedman of the Lord. Likewise he who was free when called is a slave [doulos] of Christ. You were bought with a price” (1 Cor. 7:21-23). And Peter urges his readers, “Live as people who are free, not using your freedom as a cover-up for evil, but living as servants [doulos] of God” (1 Peter 2:16). Every Christian is called to serve both Christ and others. “As each has received a gift, use it to serve one another, as good stewards of God’s varied grace” (1 Peter 4:10). Church leaders are not exempt from service. A church elder is called “the Lord’s servant [doulos]” (2 Tim. 2:24). The Greek word for “deacon” (diakonos) means “servant.” Jesus said to his twelve disciples (future church leaders), “Whoever would be first among you must be your slave [doulos]” (Matt. 20:27; Mark 10:44). Several times in his letters, Paul calls himself a “servant” (doulos) of Christ (Rom. 1:1; Gal. 1:10; Phil. 1:1; Titus 1:1). Paul also viewed himself as a slave to others, “Although I am a free man and not anyone’s slave, I have made myself a slave to everyone, in order to win more people” (1 Cor. 9:19). “What we proclaim is not ourselves, but Jesus Christ as Lord, with ourselves as your servants [doulos] for Jesus’ sake” (2 Cor. 4:5). Even Christ, our Lord, humbled himself and took “the form of a servant [doulos]” (Phil. 2:7). To the shock of his disciples, Jesus performed the duty of a slave by washing their dirty feet (John 13:1-11). His ultimate act of service was his death on the cross for our salvation. Jesus said, “The Son of Man came not to be served but to serve, and to give his life as a ransom for many” (Mark 10:45; cf. Matt. 20:28). As Christ’s slaves, we must remind ourselves of the following two truths. 1. Whatever we do, we can do it to serve Christ. Paul tells salves to obey their masters “as you would Christ, not by way of eye-service, as people-pleasers, but as servants of Christ, doing the will of God from the heart, rendering service with a good will as to the Lord and not to man” (vv. 5b-7). Even the most mundane task can be seen as service for our Lord. 2. Whoever we are, we will be impartially judged by Christ for our service. Paul motivates slaves by telling them that “whatever good anyone does, this he will receive back from the Lord” (v. 8). And he motivates masters by reminding them that “he who is both [your slaves’] Master and yours is in heaven, and there is no partiality with him” (v. 9). Christ will not favor them over slaves based on their social status. We are all equal in Christ’s eyes. “There is neither Jew nor Greek, there is neither slave or free, there is no male and female, for you are all one in Christ Jesus” (Gal. 3:28). “Here there is not Greek and Jew, circumcised and uncircumcised, barbarian, Scythian, slave, free; but Christ is all, and in all” (Col. 3:11). “In one Spirit we were all baptized into one body—Jews or Greeks, slaves or free—and all were made to drink of one Spirit” (1 Cor. 12:13). Paul urged Philemon to welcome back his runaway slave Onesimus (who had since become a Christian) not merely as a slave, but as a “beloved brother” (Philem. 1:16). We are saved by grace, not by works. But one day we will all stand before Christ, and he will evaluate our works. “We must all appear before the judgment seat of Christ, so that each one may receive what is due for what he has done in the body, whether good or evil” (2 Cor. 5:10). What we do matters. In this life, we spend much time and effort working toward many goals. We want to earn a university degree. We want to advance in our job. We want to make improvements to our home. We want to save money for retirement. But in that moment when you and I stand before Christ, we won’t be thinking of our university degree or our job position or how nice our home was our how much money we saved. What will matter most of all will be whether or not we hear from our Lord Jesus Christ the words, “Well done, good and faithful servant” (Matt. 25:21; cf. Luke 19:17). May you and I strive each day to please the one who die for us. “As Moses lifted up the serpent in the wilderness, so must the Son of Man be lifted up, that whoever believes in him may have eternal life” (John 3:14-15). What is the glory of God? The glory of God has two meanings. 1. The glory of God can mean the manifestation of his presence. 2. The glory of God can mean the honor he deserves. In Exodus 33, Moses asked to see God’s glory: “Please show me your glory” (Ex. 33:18). On Mount Sinai, “The LORD descended in the cloud and stood with him there, and proclaimed the name of the LORD. The LORD passed before him and proclaimed, ‘The LORD, the LORD, a God merciful and gracious, slow to anger, and abounding in steadfast love and faithfulness’” (Ex. 34:5-6). On that same day, the word of God (the Ten Commandments) came down to Moses and was written on tablets of stone. Centuries later, the Word (Jesus Christ) came down to man and appeared in human flesh, and through him God’s glory was seen. “The Word became flesh and dwelt among us, and we have seen his glory, glory as of the only Son from the Father, full of grace and truth” (John 1:14). “Grace and truth” probably parallels “steadfast love and faithfulness” in Exodus 34:6. When God’s law was broken, he displayed his glory by sending Jesus to save us from the law’s death penalty. In John’s Gospel, there are three “lifted up” sayings in John’s Gospel (cf. Isa. 52:13). To Nicodemus, Jesus said, “As Moses lifted up the serpent in the wilderness, so must the Son of Man be lifted up, that whoever believes in him may have eternal life” (John 3:14-15; cf. Num. 21:8-9). To the Jewish authorities, Jesus declared, ”When you have lifted up the Son of Man, then you will know that I am he” (John 8:28). And in the days prior to his death, Jesus announced, “And I, when I am lifted up from the earth, will draw all people to myself” (John 12:32; cf. v. 34). “Lifted up” has two meanings. Jesus was literally “lifted up” when he hung upon the cross, and he was figuratively “lifted up” because his death led to his exaltation. Jesus sometimes substituted the word “glorified” in the place of “crucified.” He said, “The hour has come for the Son of Man to be glorified” (John 12:23; cf. 13:31-32; 17:1). The cross was intended to bring shame to its victim, but it brought glory to God. 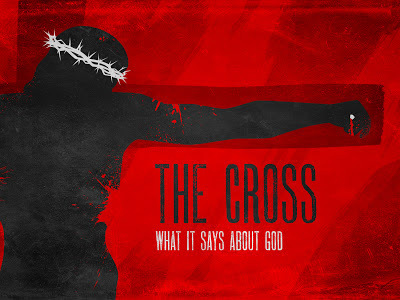 Like nothing else, the cross displays the glory of God. In it we see his steadfast love and faith-fulness. Because of the cross, we should be willing to live our lives to glorify God. “Whatever you do, do all to the glory of God” (1 Cor. 10:31). Children, obey your parents in the Lord, for this is right. “Honor your father and mother” (this is the first commandment with a promise), “that it may go well with you and that you may live long in the land.” Fathers, do not provoke your children to anger, but bring them up in the discipline and instruction of the Lord (6:1-4). Who we are in public is often very different from who we are at home. How you act in your home reveals the true condition of your heart. 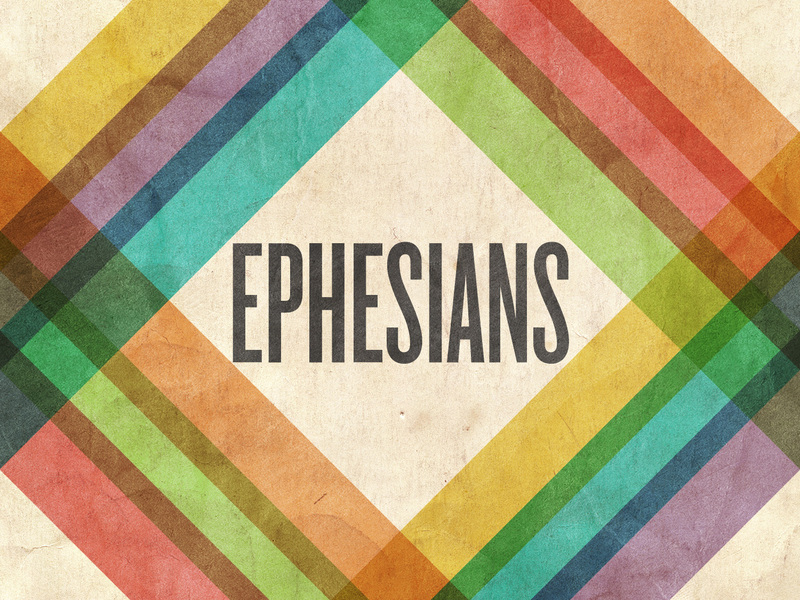 In Ephesians 6:1-4, the apostle Paul gives commands to both children and parents. To children, Paul writes, “Children, obey your parents in the Lord, for this is right. ‘Honor your father and mother’ (this is the first commandment with a promise), ‘that it may go well with you and that you may live long in the land’” (vv. 1-3). To fathers, Paul writes, “Fathers, do not provoke your children to anger, but bring them up in the discipline and instruction of the Lord” (v. 4). 1. God has given us rules for how he wants us to live. The most famous rules in the Bible are called the Ten Commandments. These rules were given by God to the people of Israel in Exodus 20. The first four rules are rules about our relationship with God. The First Commandment says, “You shall have no other goes before me” (Exod. 20:3). The last six rules are rules about our relationship with others. The Fifth Commandment says, “Honor your father and your mother” (Exod. 20:12). Earlier in his letter to the Ephesians, Paul wrote, “By grace you have been saved through faith. And this is not your own doing; it is the gift of God, not a result of works, so that no one may boast. For we are his workmanship, created in Christ Jesus for good works, which God prepared beforehand, that we should walk in them” (2:8-10). When people—especially kids—are told to do something, they ask, “Why?” (“Why do I need to go to bed now?” “Why do I need to eat my vegetables?” “Why do I need to take this bad-tasting medicine?”) There are many good reasons for obeying God’s rules, but there is one reason that is best. 2. The best reason for obeying God’s rules is to show our love for him. “This is love for God: to keep his commands. And his commands are not burdensome” (1 John 5:3, NIV). Jesus said, “If you love me, you will keep my commandments” (John 14:15).